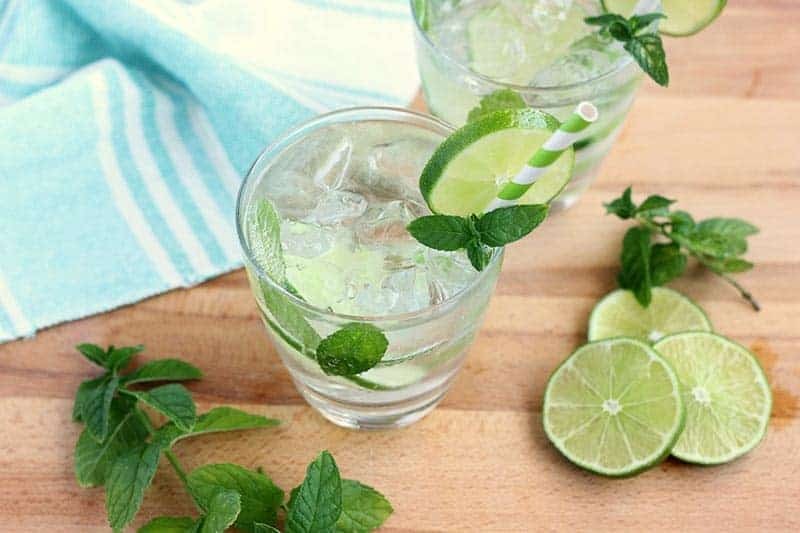 This Classic Mojito Recipe is the perfect fresh summer cocktail! 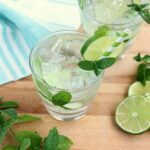 Fresh mint is paired with lime juice, combined with your favorite rum, and topped off with chilled club soda. Serve over ice for a quick and delicious cocktail recipe. My go-to drink of choice is wine. I feel like a glass or two can be is amazing when paired with the right food. However, there is always a time during the summer when I get the itch for something a little more refreshing. This cocktail recipe gives me everything I am looking for in a summer favorite. 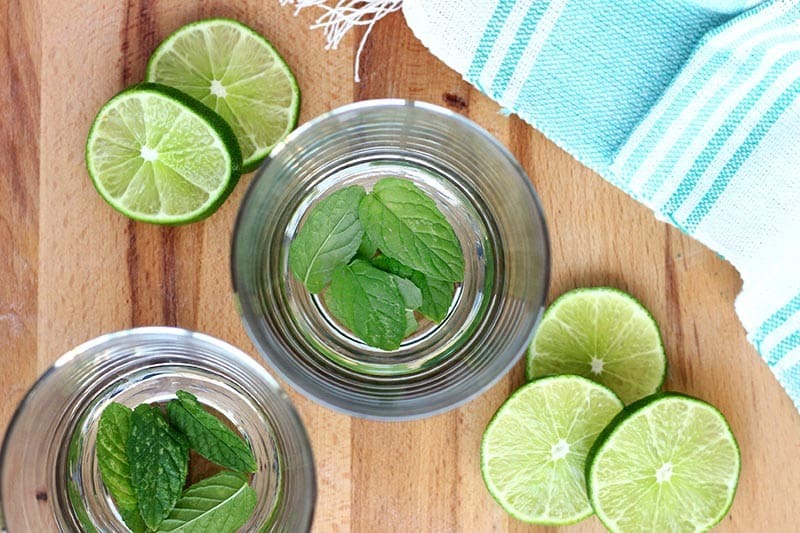 The fresh mint paired with citrus screams perfect cool-down beverage. 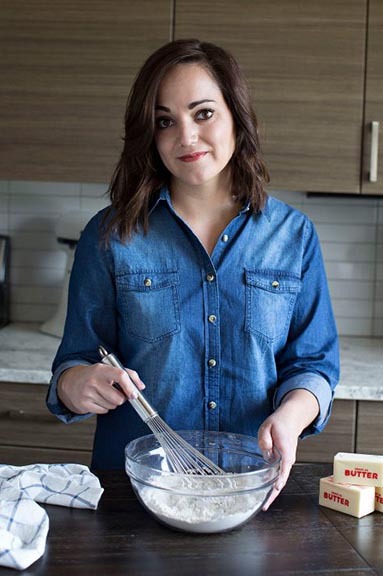 Prep time is quick making this a simple recipe that is right up my alley. 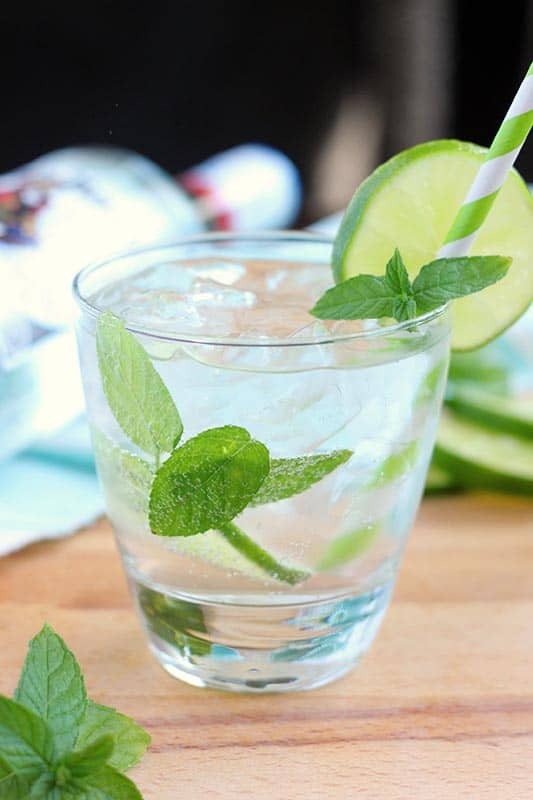 Start with a few sprigs of FRESH mint tossed into the bottom of a glass. Add a lime wedge and muddle until it is super fragrant (this is where the magic happens). Add your liquor of choice, a little simple syrup, and top things of with a chilled club soda. Just like that you have a cocktail that’s fit for any summer party or a solo night in (don’t pretend you don’t love those anti-social nights filled with Friends reruns and pajamas). I feel like I should toss in this quick little tid-bit. This recipe is delicious with almost any flavor combination. Add a raspberry or two, blueberries, or even peaches. Add the fruit in the beginning and you’ve got a brand new treat! I’m a sucker for the blackberry version but raspberry comes in a very close second! Like this recipe? You will love my Blackberry Mojito, Cranberry Champagne Cocktail, and Raspberry Peach Sangria! Combine the sugar and water in a medium saucepan. Bring to a simmer. Cook 3-5 minutes or until the sugar has dissolved. Cool completely. Add 2-4 mint leaves to the bottom of a sturdy glass. Squeeze 1 lime wedge on top of the leaves. Drop the wedge into the glass. Muddle until fragrant. Fill the glass with ice (on top of the lime and mint). Top with 2 tablespoons of the simple syrup and 1.5 oz of rum. Top with club soda and enjoy.